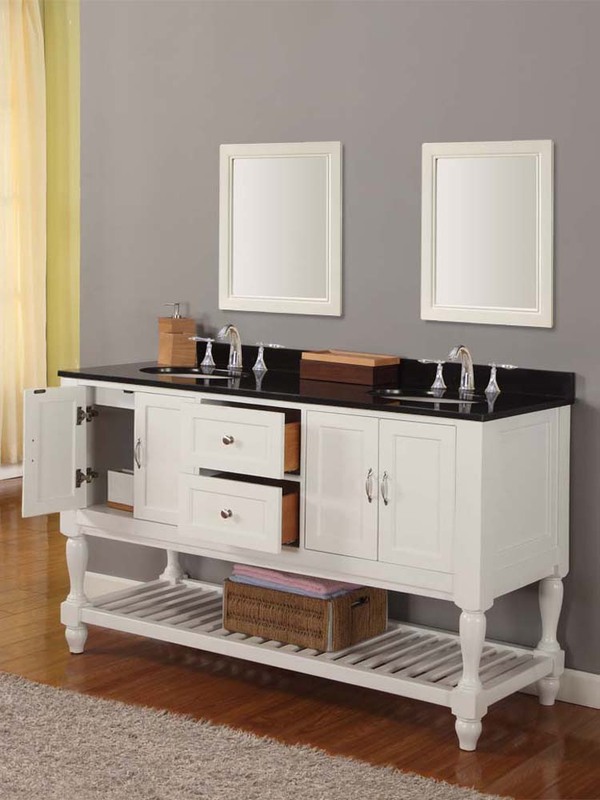 The Bridgeport Double Vanity is rich in traditional style but with a refreshingly contemporary twist. 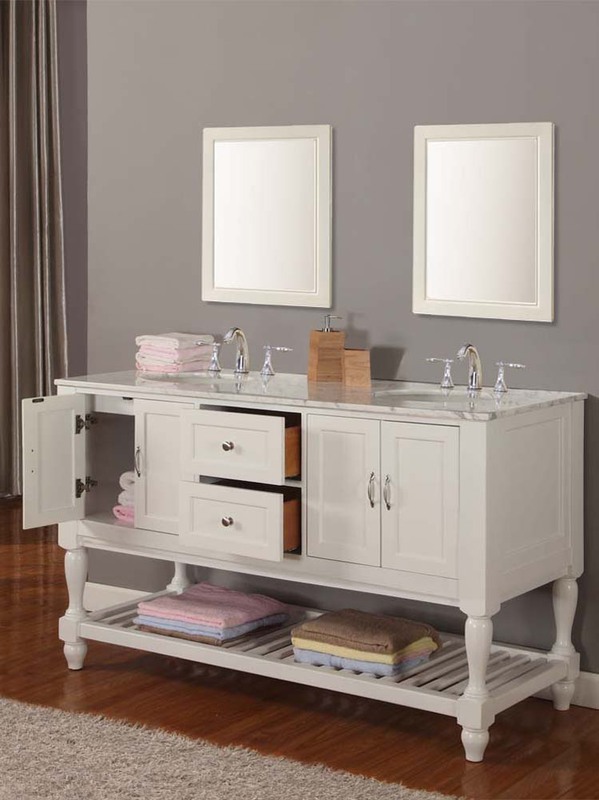 Its turn legs, brilliant pearl white finish, and brushed nickel hardware offer a timeless style that will create a charming atmosphere. 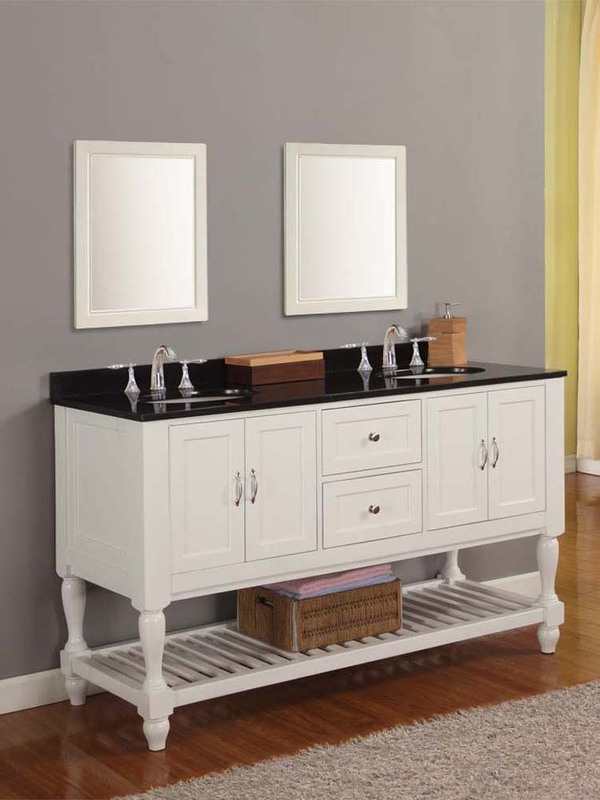 The open shelf design, slatted bottom, and white carrera marble countertop are what gives this double bathroom vanity its modern appeal. Those interested in its transitional style will also take comfort in its durable construction. 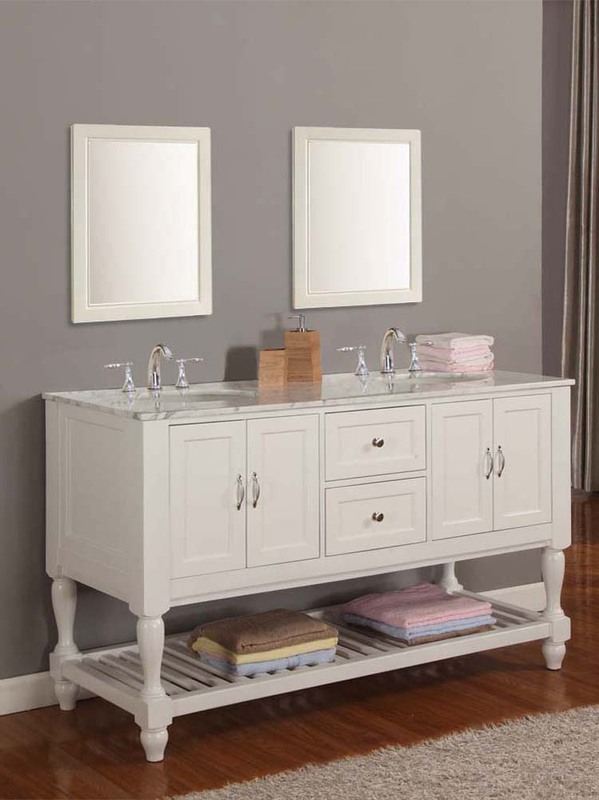 It features solid birch wood construction, natural marble, and dovetail joinery on the drawer boxes. Several matching pieces are available from the drop-down menu, so you can enjoy a brand new bathroom design.